When your wine collection reaches a considerable size you need to look into more refined, long-term wine storage solutions like refrigerated wine cellars. 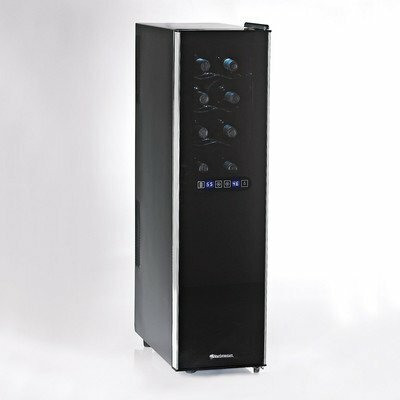 At the beginning a small quality electric wine cooler is an affordable and reasonable appliance for storing your wines within good thermal and humidity conditions, away from direct sunlight. But once you used up the storage capacity of your wine cooler it’s a good idea to think through how serious are you about collecting wine?Do you want to experiment with aging? How much space you have for a larger capacity standalone wine cellar? While the word cellar conjures up images of humid, dark and dusty underground rooms or caves, standalone refrigerated wine cellars or wine cabinets are sleek appliances that provide the perfect temperature, and humidity levels, as wel as silent, vibration-free storage environment for your precious vintages. So if you don’t have space nor the money to build a fully-fitted wine cellar under or nex to your house consider buying a refrigerated wine cellar or cabinet where you can keep your wines within ideal storage conditions. These attractive wine cabinets are equipped with air-conditioner-like cooling units to cool the interior of the insulated cabinet to a desired temperature. Apart from being functional these wine cellars have sophistaced design that will fitt in and enhance your kitchen’s or living room’s decor. And even your wife will be enthusiastic about a stylish wooden wine cellar that she can show off your friends and guests. Even serious wine collectors owning a spacious cellar might find a refrigerated wine cabinet appealing. You can store a couple of bottles in the cabinet at drinking temperature so when you have guests you just get a bottle from it and you can serve it right away. In a dual- or multiple-zone wine cellar you can store both red and white wines because you can adjust two or more different temperatures in the cellar’s compartments. If you already own a large collection of wines and plan to add more bottles in the future then buying a capacious wine cellar is a wise decision and a well-made investment. Most high-end wine cellars can be fully fitted in your kitchen. These furniture-like refrigerated wine cabinets come in different types of wood finishes and in various colours. Just select a model that suits your kitchen decor the best. With a refrigerated wine cellar restaurants and bars also have an esthetic and practical storage unit for their wine stock. See more on commercial wine coolers and refrigerators. Vinotheque wine cellars are high quality, elegant units with many customization options. Le Cache wine cellars have attractive solid built and top-notch cooling systems. Read review on the Le Cache Contemporary wine cellars. 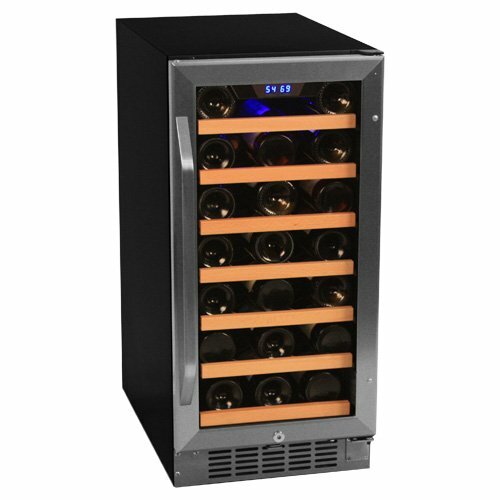 Vintage Keeper Wine Cellars are the most affordable wine storage appliances with very low cost-per-bottle prices. TIP: Read review of the 500-bottle capacity unit, the Vintage Keeper Nuvo VP500 wine cellar. If you’re looking for something that is closest to a natural wine cellar or cave then a EuroCave wine cellar is the good choice. These units are all plastic and metal so they’re for those who prefer cool, modern look to old-world wooden credenzas. Transtherm wine cellars are also high-end wine storage appliances with exquisite decor. Eurocave, Transtherm, Vinotheque and Le Cache wine storage cabinets are designed for long-term storage and aging of wine. Read more about aging wine and recommended wine coolers for ageing. 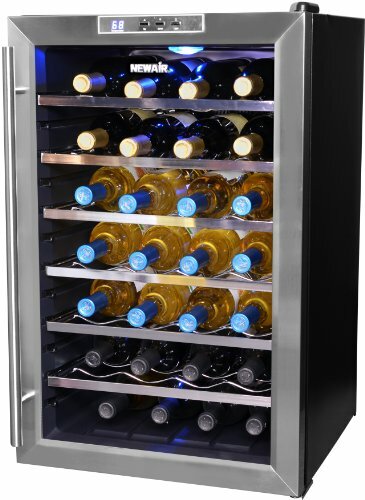 Amana Wine Refrigerators are high-quality, elegant storage cabinets with 3 independent cooling zones. 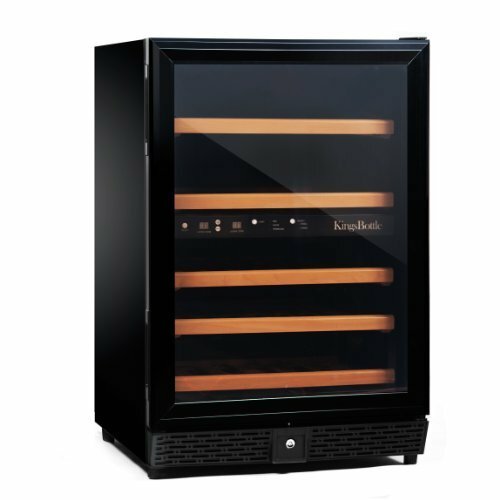 The Wine Enthusiast TriBeCa range offers more classy wine cellar models equipped with top-notch technology. Wine Enthusiast Portfolio wine cellar furnitures and Rutherford wine credenzas are armoire-style wood wine cabinets. See more premum-quality Wine Credenzas. If you’re looking for the cheapest choice in refrigerated wine cellars then see what Vinotemp offers. You can start with a 50 bottle wine refrigerator but the larger ones can hold a couple of hundred bottles. If you can afford and if you’re really hooked on wines a walk-in wine cellar or wine room can be a very impressive and useful solution for storage. 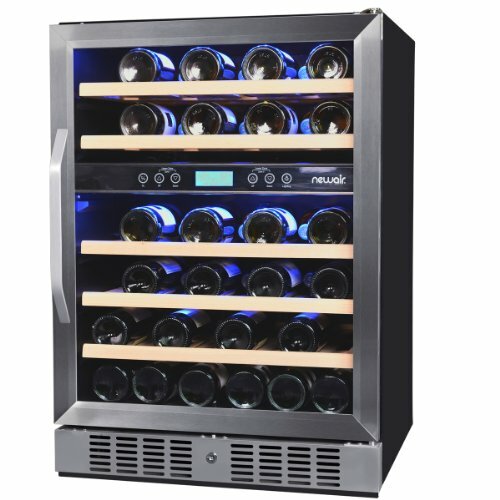 Read our page about different types of wine coolers and refrigerators on our website to found the one that’s best for your needs. You might also want to take a look at which are the best wine coolers on the market. Read our overview of wine cellar cooling units.